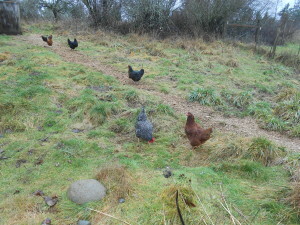 It’s been quite a while since the last post, but life continues here at Woolly Dragon Farm. Our chicken flock continues to do pretty well. 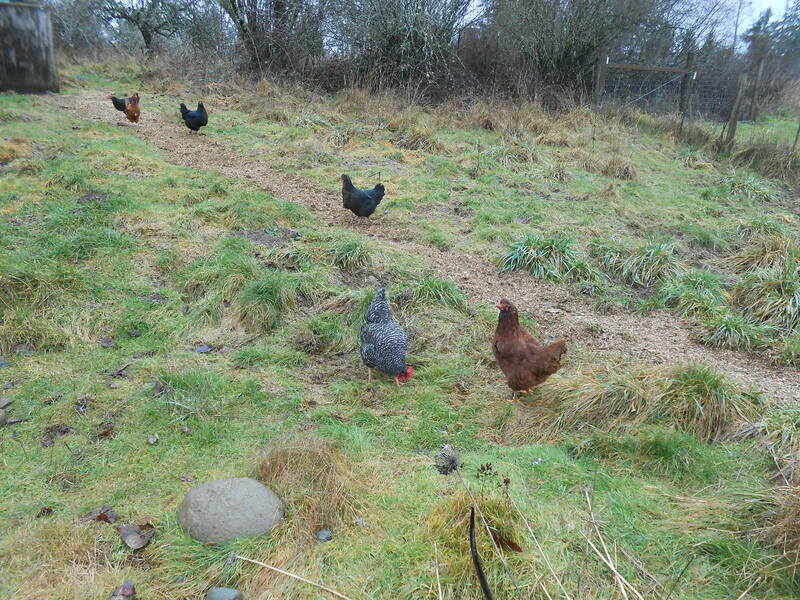 Six of the chickens are in this photo, including Patty and Ren from the first flock. 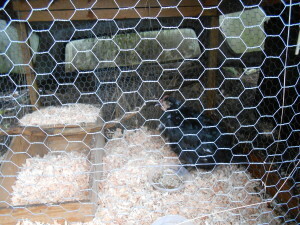 One of the black hens, however, has been the target of bullying by the other chickens. She’s been showing signs of stress, lost feathers, weight and just going off by herself. Today, after chasing off one of the others attacking her, I isolated her in a temporary pen. Safe and dry from the other chickens. She looks pretty pathetic, but hopefully will perk up. I think they’ve been keeping her from eating. Kate’s been feeding her, but she’s always by herself. In the coop the others won’t let her on the roosts either. The temporary pen is sheltered by the old truck canopy left by the previous owners so she has protection from the elements. Hopefully she’ll get better. I’ve been looking at plans for chicken coops, and hope to tackle building a new coop for the chickens, and a new shed for the tools and bikes this year. Then we’ll take down the old decaying shed/coop. Moving onto the property, and our house, has presented a lot of challenges but I want to start making more progress on working on improving things around the homestead. Unfortunately, she didn’t survive. I’m not sure if she was sick, or what, but she didn’t eat much and her conditioned got worse. She went to sleep and passed away.